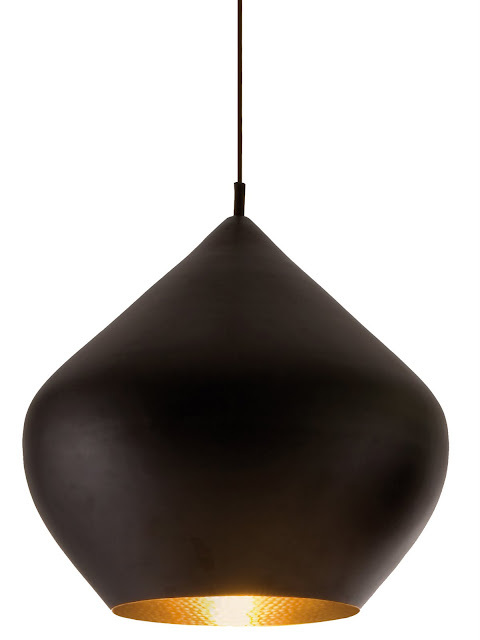 An impressive 20.5 inches (52 cm) wide 'Stout' pendant is part of the Beat Lights family made by British designer Tom Dixon. 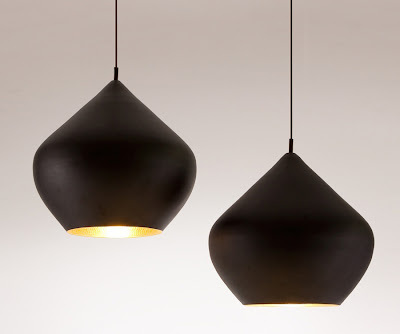 This popular modern pendant lamp marks the resurgence of interest in hand made designs. 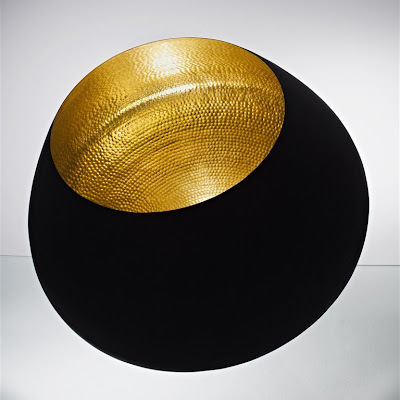 Taking inspiration from Tom Dixon's travels around the globe, 'Stout' is made from hand-beaten brass reviving the rapidly vanishing skills of Indian master craftsmen. The exterior of the beaten brass is coated with a matte black finish in contrast to the warm golden interior. Tom Dixon's Stout pendant light can be hung as a cluster with other Beat Lights or alone creating an impressive design statement. Designed by Tom Dixon, the Beat Shade series are made of hand-beaten brass with a black patinated exterior. We admire the unique and daring mix of modern forms matched to ancient materials. The Beat Shades are ecologically sound and have a "reclaimed feeling". The Beat Shades come in four distinctive shapes including Wide, Stout, Fat and Tall (see bottom page). 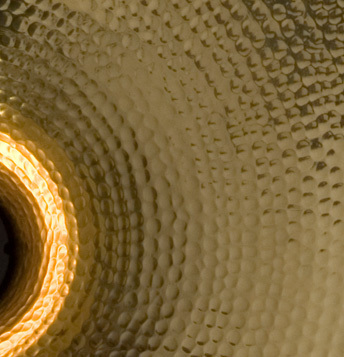 The Beat Lights look amazing hung individually or in a group as shown in the Shoreditch House, London. Parts are UL listed, so it is perfect for both residential- and commercial projects.